Overcast Sound, hot on the heels of their recent WR single “Settle“, are back to deliver one more electronic odyssey for 2013. All We Know Fades seems to be a descriptive title, in addition to an aesthetic one, as the music contained inside is ripe with new territories and alternate palettes different from those present on past Overcast Sound releases. Visiting vibrant pastures of buoyant house music, minimal techno and moody drapes of synthesizer sprawl, the album carves out images of late night city bars, chilly and blue storm clouds and poetic subway rides deep into the philosophical subconscious. This is thinking man’s techno, masterfully presented and expertly executed. 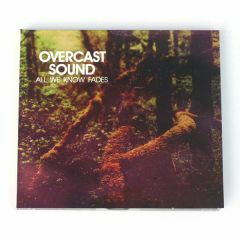 Scattered fragments of human voices can be found throughout the record, further solidifying the connection on a hard wire from Overcast Sound’s mind to your stereo system. 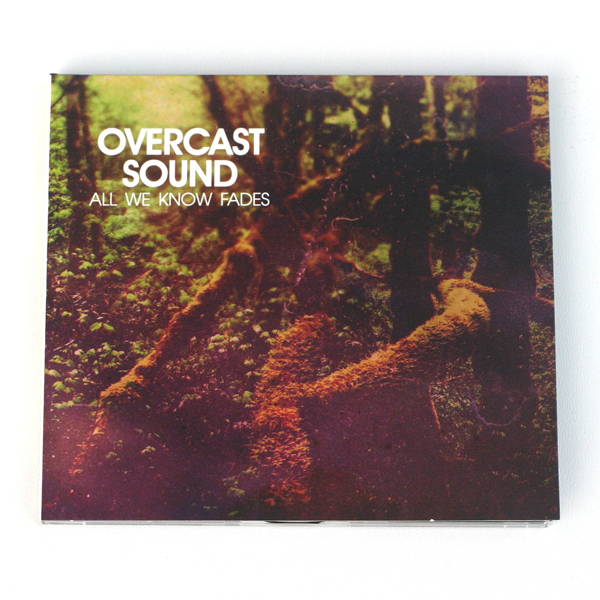 All We Know Fades is arguably the best Overcast Sound album to date, and an hour of the freshest electronic music to happen in 2013. Limited edition CD housed in full color matte finished digipak CD cases. To purchase digital version, click here.